What comes to mind when someone poses the question, When Should You Refinance Your Car Loan? If you’ve never applied for one, you also don’t know when you should refinance your car loan. Car loan refinancing is actually a safe way of retaining your dream car. In fact, you can consult auto loan experts to help you get car refinancing without affecting your credit score. 1. Is it worth it to refinance? 2. Can I refinance my car with poor credit? 3. Can I refinance my car with the same lender? 4. Do you have to put down money when you refinance your car? When should I apply for auto loan refinancing? Are you ready to refinance your car loan? It all depends on how much you love your current motor vehicle. Does it get you where you want on time? How often do you take it to the mechanic? Or, is it becoming an unnecessary liability due to rising maintenance costs? If you answer these questions honestly, you’ll have a definite standing with your car. Car loan refinancing makes financial sense in cases where the auto loan interest payments cost more than refinancing. Switching to a car refinancing loan can help the buyer save up to 30 percent on each monthly installment. Sometimes, a bad business break can affect your profits so bad that you can longer afford to pay the same amount monthly. Car loan refinancing helps you to retain your vehicle as you figure out how to improve your financial situation. Yes, you can. In fact, you can access affordable bad credit car loan refinancing at Complete Auto Loans. Here, you’ll come across highly experienced credit officers who will perform credit inquiries without inflicting damage on your credit score. Moreover, seeking bad credit car refinancing from the same car dealership ensures you have better chances of getting it than applying to different creditors. You’ll need to meet a few requirements to qualify for a bad credit car refinancing plan. First, you need a stable source of income. Some creditors only offer bad credit refinancing if the debtor has paid at least 50 percent of their auto loan. Well, it depends on whether or not they offer car refinancing. Complete Auto Loans offers friendly car refinancing terms to its auto loan clients. As mentioned earlier, obtaining car refinancing from the same lender is easier than reaching out to different creditors. If the creditor has large capital reserves, they can offer car refinancing at affordable interest rates. Companies with lesser capital reserves apply tougher requirements. For instance, only offering car refinancing to debtors who have a minimum credit score of 700. It depends on the car’s value and outstanding debt. Creditors usually offer car refinancing if your car’s value is within its normal market range. If you owe more your car’s market value, you’ll need to pay up the difference to your car loan refinancing provider. This is why you should always seek a professional automobile valuer before signing auto loan forms. Since most car refinancing creditors have a minimum outstanding debt policy, ensure that your payments are up to date. If your car dealership only offers car refinancing to buyers who owe at least $10,000 but you currently owe $20,000, you need to save up. Car refinancing has better interest rates and longer repayment durations compared to auto loans. In order to qualify for a car refinancing plan, you need a higher credit score than when you did when applying for your auto loan. If your credit score is within the 700 range, you won’t have any problems obtaining an affordable car refinancing plan. Assume that you’ve been renting for a while but now you’ve got a new job that can buy you a house. Since you’ll need to save up for your house deposit as soon as possible, you’ll need to do some cost-cutting. You can save up to 30 percent on each monthly installment by switching to a car refinancing plan. This way, you can afford to pay for both your car and mortgage. If you recently got retrenched and got a new job that pays less, you can apply for car refinancing in order to retain your cherished motor vehicle. Sometimes, people don’t take time to do price comparisons by visiting several car dealerships around them. Due to this mistake, one ends up paying costly monthly installments for no good reason. If you rushed to purchase your car on credit, you’ve probably realized that a car refinancing plan is more affordable. Fortunately, the law allows you to switch from auto loan to a car refinancing plan in order to spend less on monthly installments. Once in a while, the government responds to the public’s request for better credit terms by lowering maximum interest rates. This forces auto loan lenders and other creditors to adjust their APRs downwards. If you have a high credit score, the new interest rate law will favor you greatly. We’ve seen that you need a high credit score to qualify for car refinancing. If your credit score is above 700 and you’ve repaid at least 50 percent of your auto loan, consider switching to a car refinancing plan. 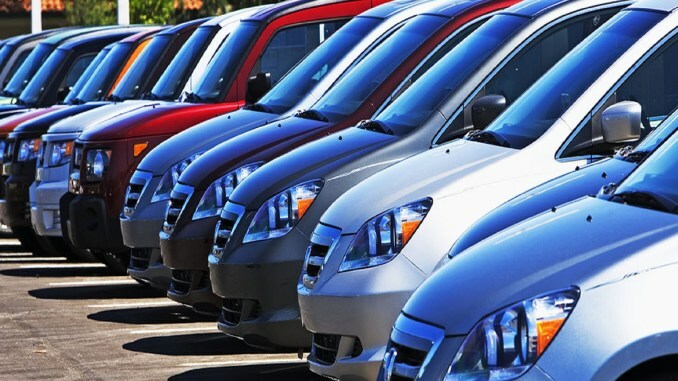 Car dealerships allow clients to purchase leased motor vehicles at discounted prices. If you leased a car for 24 months and your contract is almost over, you can buy the car at 30 percent less its market value. In fact, some car dealerships offer car refinancing to lease customers who want to make a purchase. You’ll need a high credit score and a source of income to qualify for this arrangement. Refinancing your car loan is good because it helps you to retain your car even when you’re going through a rocky financial period. It also helps you pay lower monthly installments and you can use the extra savings to pay your mortgage on time. Do you need a car refinancing plan today? Complete Auto Loan is here for you!